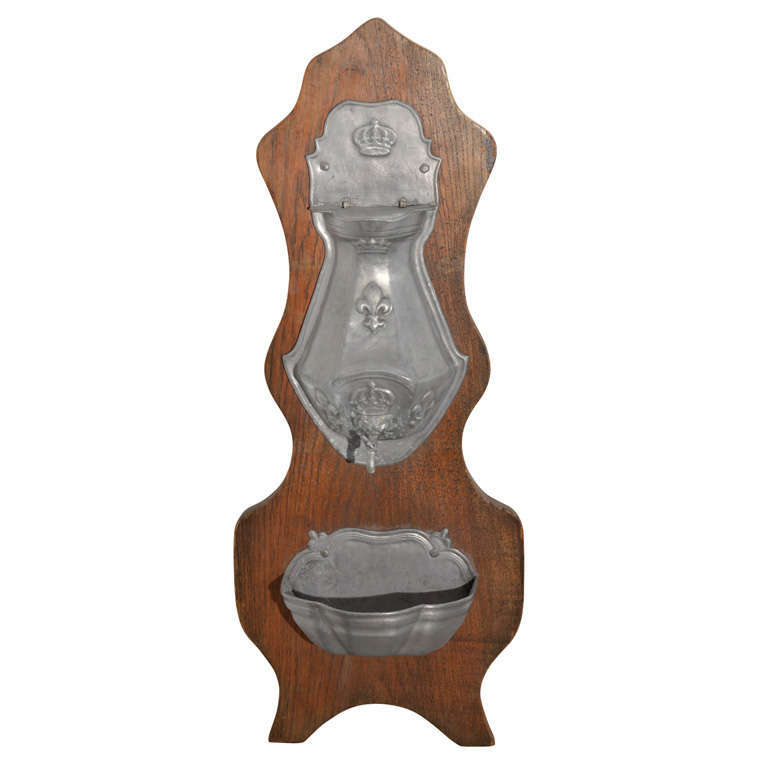 This rare interior wall fountain in pewter. The support is made in oak. Its decorative motifs are Louis XVI style. Price: $1,100 for the entire lot.